In the comments of my previous post about IQ and the SAT, Chuck11 helpfully pointed me to the formula for pooled variance to make the appropriate calculation for Cohen’s d and a collection of data points for the Black-White SAT gap beginning in 1987. 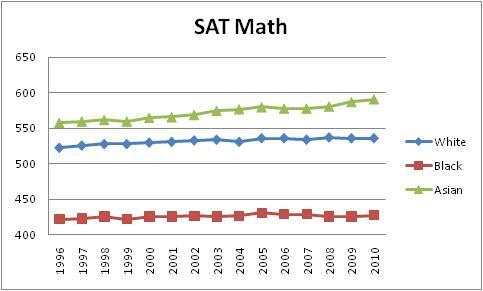 I do wish that the College Board would simplify everything by releasing all of their reports online, so that I would not need to rely on texts like this and The Bell Curve. The Bell Curve did not use pooled variance for the data they provided in 1976, 1980, 1991, and 1993, so I shall not combine their data with this new data. In general, SAT data show high standard deviations for Asians, “other,” and “no response,” and show low standard deviations for Black people and Mexican-American people. 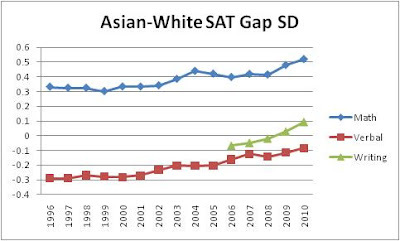 Using Cohen’s d with pooled variance had little effect on the Asian-White graph, but the Black-White SAT graph of the math subtest now looks more dramatic, and the new data reveals the inflection point of the early 1990s more clearly, during which a steep gap decline pivoted to the rising trend that we have seen mostly since. 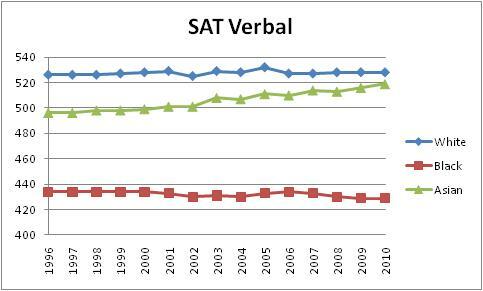 The SAT revamp of 2005 seemed to rapidly shrink the verbal test Black-White gap, but it grew back. One commenter seemed to want to know the raw score differences, so I shall also post them, even though this is not a typical presentation of this sort of data. My first blog post mentioned how I think it is odious to compare and that race realists have been too obsessed with IQ. The recent genome-wide association study, Davies et al, has certainly helped convince me that we are living in an important era for IQ research. Also, I am finding it increasingly offensive for educated, otherwise reasonable people to continue to deny the existence and validity of IQ. Henry Louis Gates, Jr. once expressed the view that the IQ and race controversies can make black people feel shut out of intellectualism. I sympathize with this view, but I can also see that many liberal white people use the racism critique as a cudgel against intellect, itself. In fact, the enemies of IQ actually seem to have disparate views. Some think IQ is not real. Others question its importance. Stephen Jay Gould had an autistic child and seemed to support IQ testing as a means of separating the “retarded” from the “normal.” He also gave some recognition to genius when he referred to “the company of Newton and Einstein.” However, he was reincarnated as Malcolm “igon value” Gladwell, who promised us that “once someone has reached an IQ of somewhere around 120, having additional IQ points doesn’t seem to translate into any measurable real-world advantage.” There you have it: liberal America’s favorite author says that George W. Bush has an IQ fit for a genius. The hardest part of defending IQ is figuring out where IQ’s enemies hid the goal posts. "My first blog post mentioned how I think it is odious to compare"
The odious comparisons are being made. 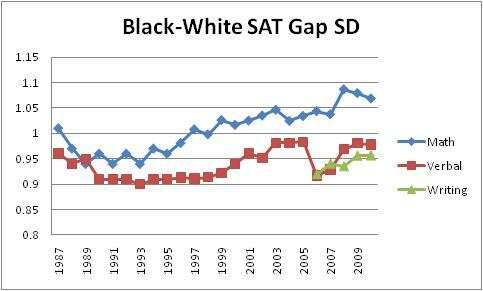 Hence the constant chatter about 'gaps' and 'disparities.' And causes for these 'gaps' and 'disparities' are being deduced. Hence the constant nagging about 'institutional racism' and 'discrimination.' Let's be clear about this, some people are being blamed for these differences (see, for example: "Why Can’t We All Just Be Individuals? : Countering the Discourse of Individualism in Anti-racist Education.") Given this situation, I fail to see how people like me are not in the moral right when it comes to exploring all possible causes for these differences. Suppose we said that IQ can predict fairly well how your group will do in school and that how your group does in school will predict fairly well how your group will do in life - economically and socially. And African-Americans as a group are at the bottom of IQ tests, also at the bottom in doing well at school and also at the bottom in wealth and social status as a group. But what ties all this together? What is cause and what is correlation? We can't leave out that they were brought to this country as slaves, deprived of economic opportunity, and deprived of educational opportunity and specifically excluded from the general society through segregation in parts of the country until recently. What is cause? 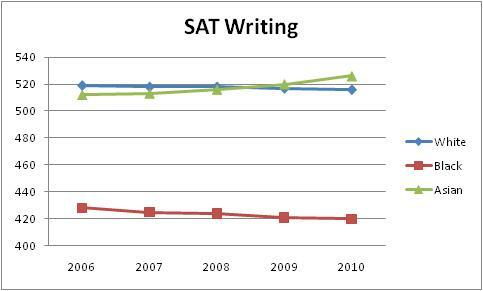 what is correlation? 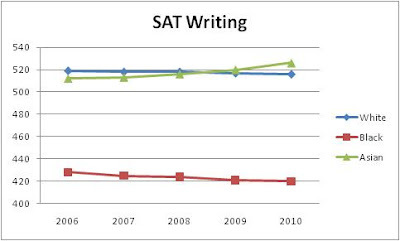 One thing is sure - the technique being used to study this is correlation, not a search for cause. And another is sure: there are many who regard these correlations (the science) as causes. I wonder if it is is scientifically possible to say on the basis of correlations that 50 or 60 or 20 percent of intelligence is heritable. Induction is science. Science does extend knowledge beyond mere mathematics. Genetic heritability is one proven cause of intelligence. The GWAS, Davies et al, cited above is the state of the art for studying IQ heritability. I discussed it more here. Attack of the Warrior Gene Babies!